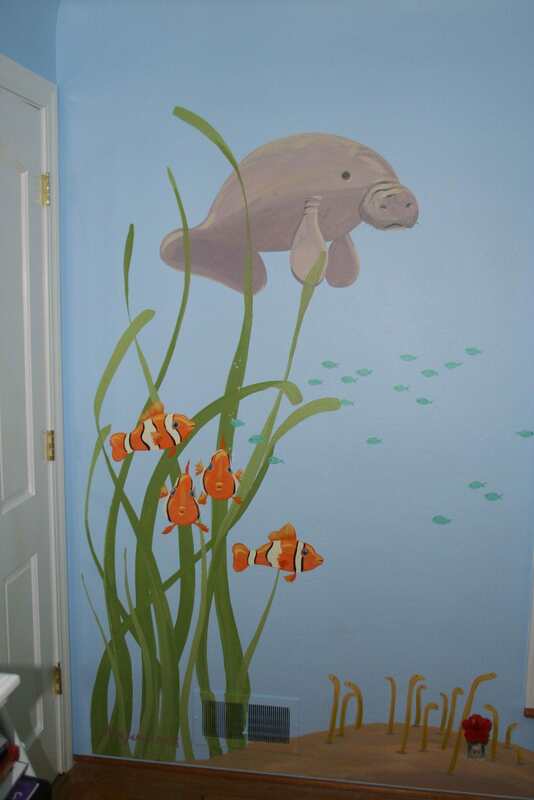 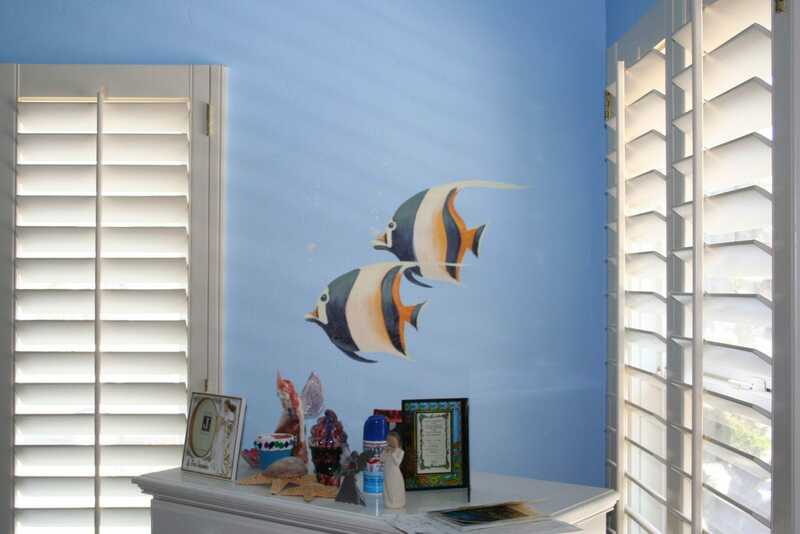 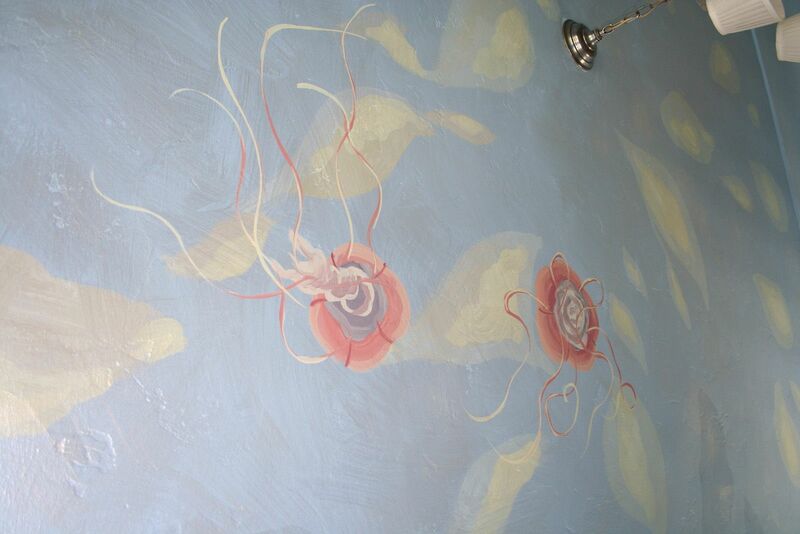 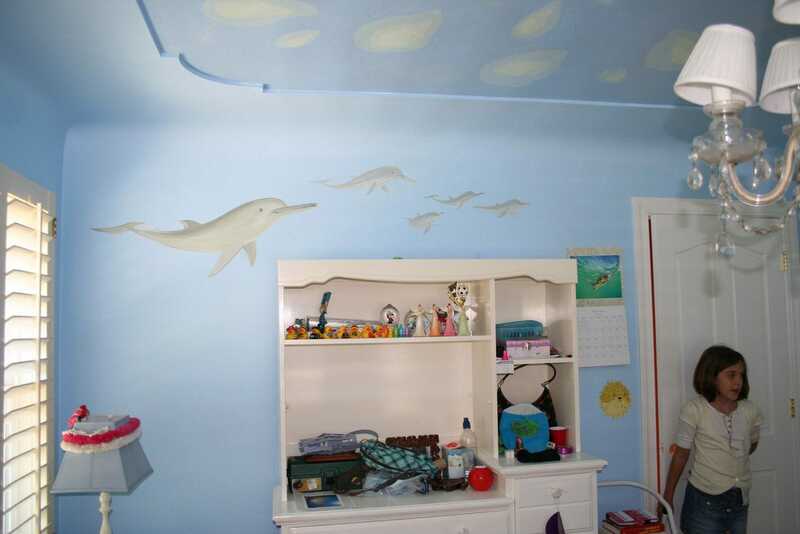 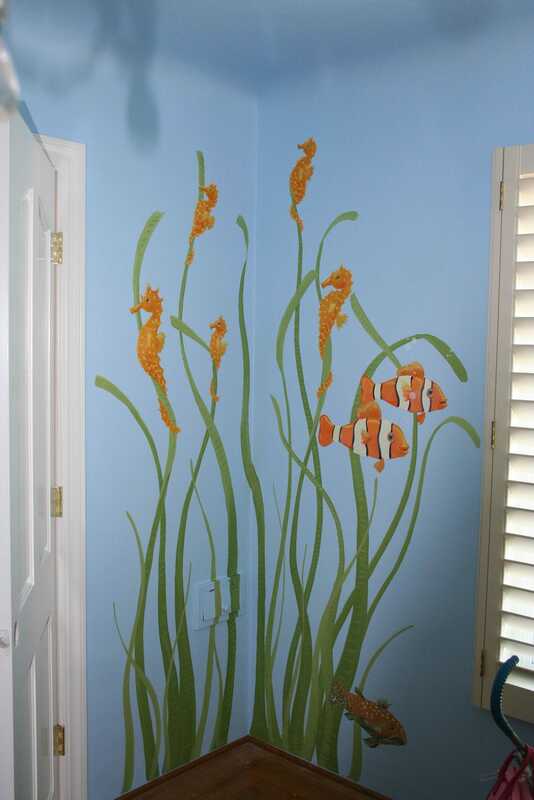 This mural was painted for a spunky girl who loved the ocean. 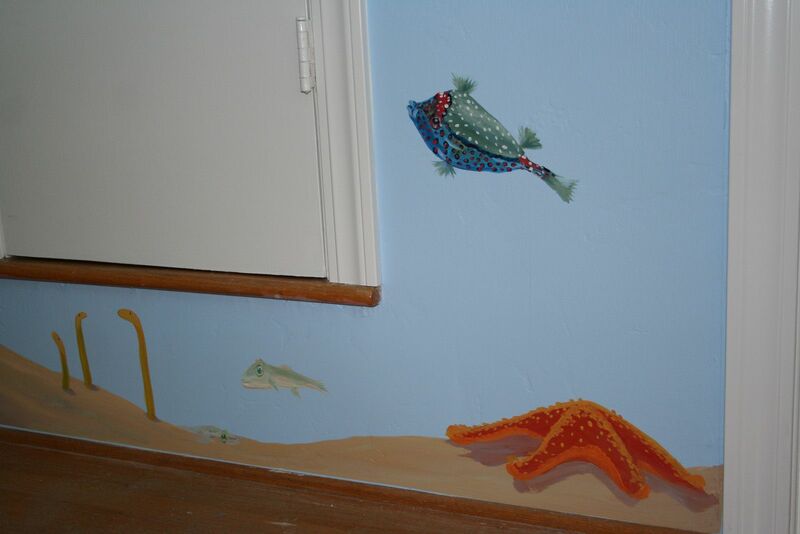 She was a young scientist, and gave me a list of her favorite underwater animals, including the little sea worms that peek up from the sand. 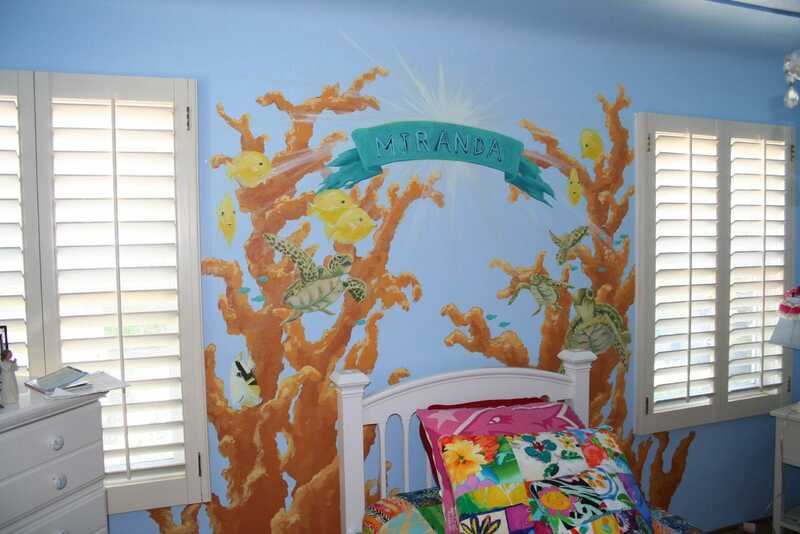 She got to swim with the big sea turtles on her last trip to Hawaii, so we made those the highlight along with her name over her bed board. 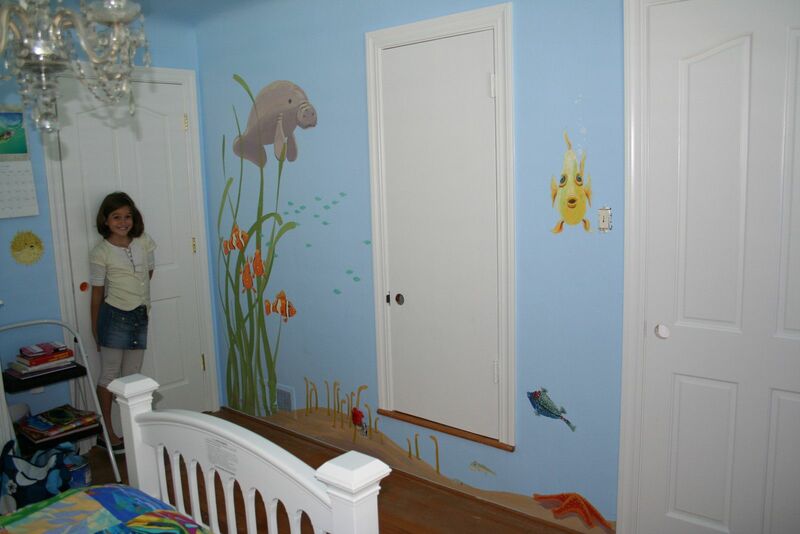 I like the big colors and energy it brings to the arrangement, and it tied in well with her colorful bedspread.